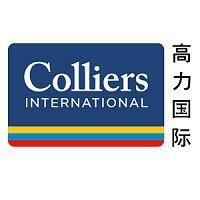 Headquartered in Seattle, Washington, USA, Colliers International is a global leader that offers a full range of services to real estate users, owners and investors worldwide. With a culture of service excellence and a shared sense of initiative, we integrate the resources of real estate specialists worldwide to accelerate the success of clients. Colliers International has been named the Best Overall Real Estate Advisor And Consultant in China for 5 consecutive years at the Euromoney Real Estate Awards organized by the world renowned financial publication.